Planning a party for a friend, a wedding, a baby shower, or a special birthday? 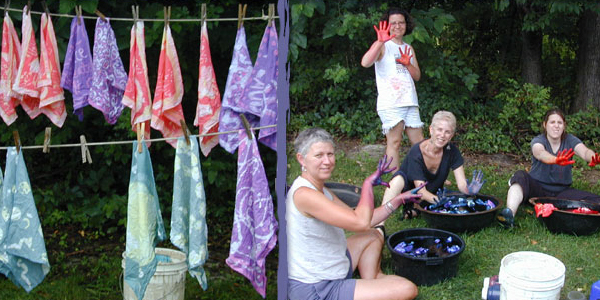 Come to the batik studio with your friends for a workshop to create a unique group gift and have an unforgettable party. 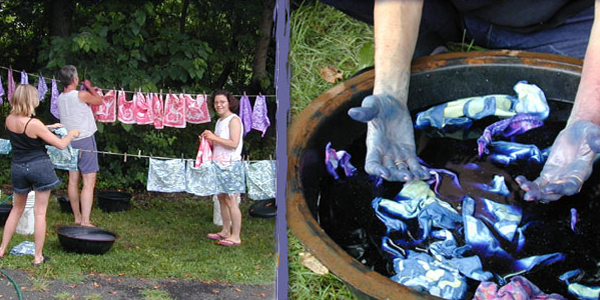 Learn the art of batik, explore your own creativity, relax, play, eat, and drink in the studio and garden for the day. 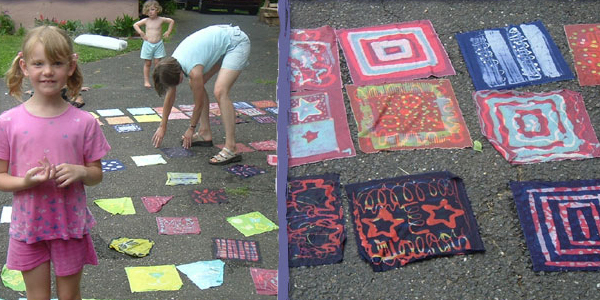 The gift you create can be a baby quilt from homemade batik fabric, or an original batik table cloth for the bride and groom. Work with Laura to design a special party and creation the guest of honor will always remember. Cost varies depending on party size and type. Please contact Laura for ideas and costs. Stay updated on the latest about workshop, shows, and new artwork. Click here for our 2018 list of events to promote a rich appreciation of this diverse country! 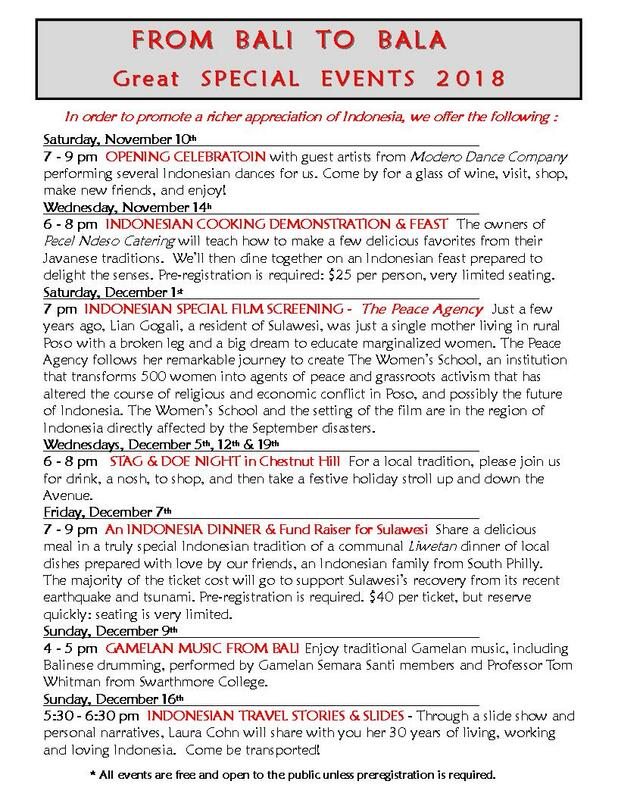 An Indonesian Special Liwetan Dinner & Fund Raiser for Sulawesi! On November 14th owners of Pecel Ndeso Catering will teach how to make a few delicious favorites from their Javanese traditions. 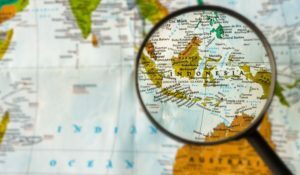 We’ll then dine together on an Indonesian feast prepared to delight the senses. Pre-registration is required: $25 per person, very limited seating, call the show to register.